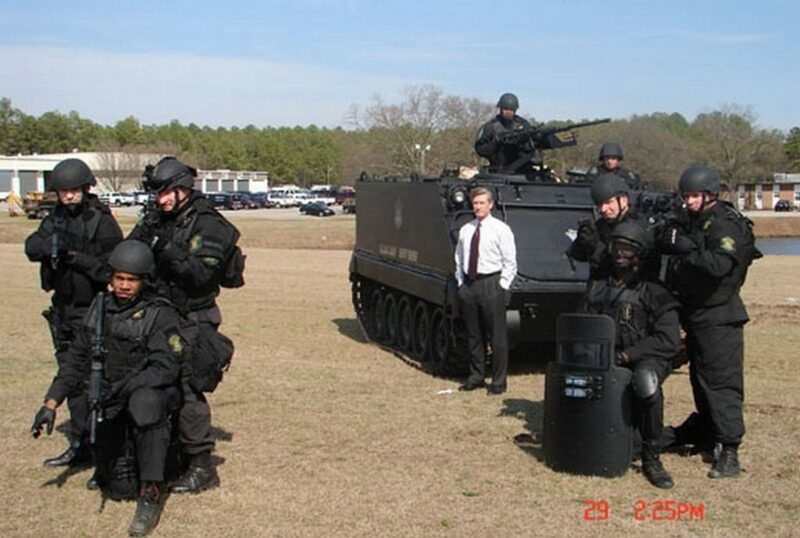 Leon Lott, the colorful and immensely popular sheriff of Richland County, South Carolina — the county encompassing the state capitol Columbia — really digs military hardware. Arguably the most famous photo of Lott depicts him posing in front of his department’s M-113 armored personnel carrier, replete with a .50-caliber machine gun. Now Lott and the roughly 600-deputy strong Richland sheriff’s department are in a little bit of trouble for trying to get their hands on a Cessna surveillance plane — by trading in a pair of 20-seat C-23 Sherpa transport aircraft that Richland County got free from the U.S. Army after the Army decided to retire the aged transport. Lott, under threat of having to return all his military surplus equipment, eventually agreed to ask Win Win for the Sherpas back. But in February of this year, Win Win filed a lawsuit in federal court in Illinois against the sheriff’s department and the Department of Defense. The suit asked a federal judge to let it keep the planes.